Friends, we are so excited that Valentine’s Day is just around the corner! We have been busy the past two months stocking our Etsy store- and just in time for Valentine’s Day! Be sure to stop by- we have a wide range of luggage pieces and other fun accessories that sweetie of yours is bound to love! 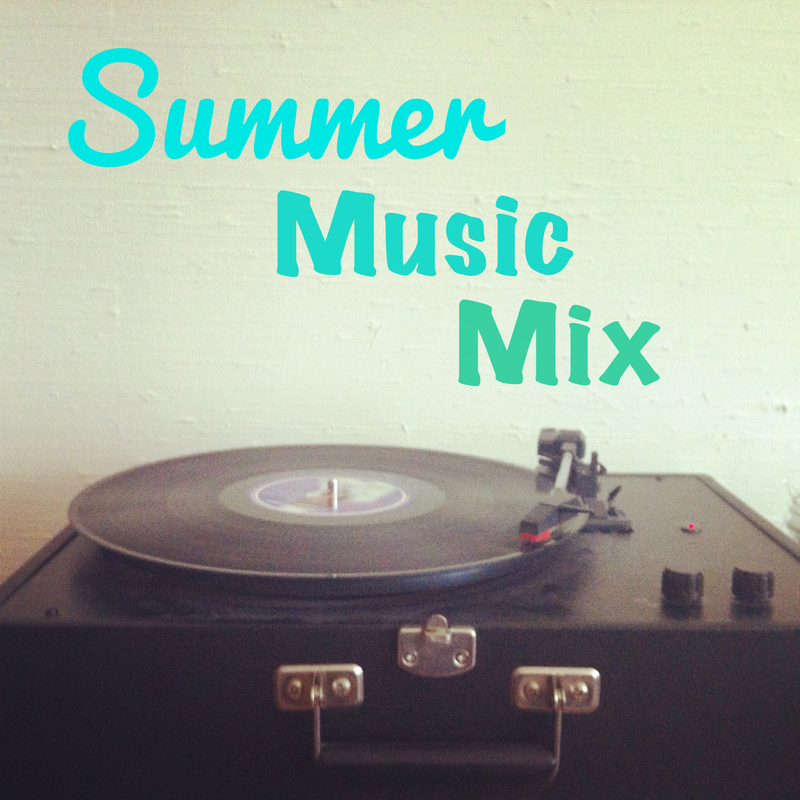 Putting together this playlist made me reflect on what a huge impact music has had on my life. Hear a song & it can bring me right back to a place & time from my life, like taking a ride in a time machine. Rosemary & I have some pretty big decisions to ponder over this next week and we are taking some time to reflect and get in tune (no pune intended) with ourselves. If you see me around Nashville, most likely, I will have a coffee in hand, writing in my journal or reading a book. We all do need that special time. I hope you all get a chance to travel, discover & get back to yourself this summer. Here’s some music for the most wonderful journey of all…. On a side note: The quotes above are from Rob Sheffied’s wonderful book, “Love is a Mixtape.” Pretty please with a cherry on top, read it! So incredible. HAPPY FATHER’S DAY! Today could not be a more perfect day to celebrate the father in your life. 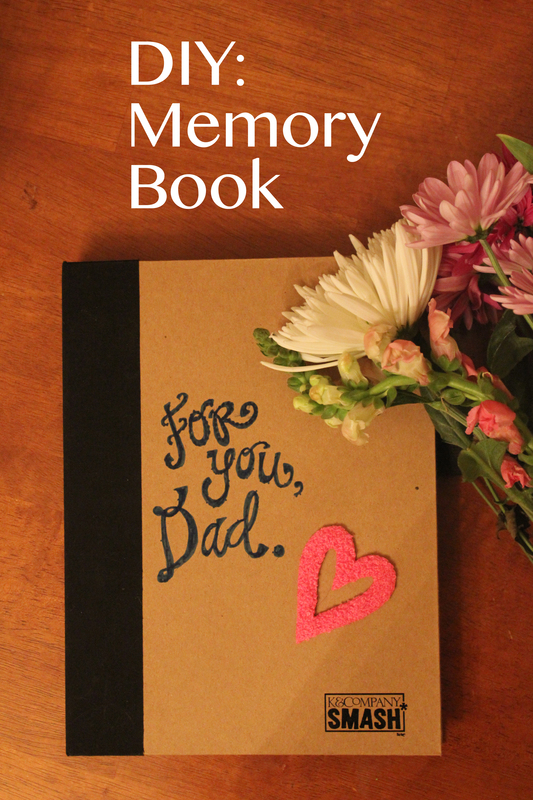 I wanted to share with you today a quick and fun way to make a memory book for someone special whether it be your father or your best friend. 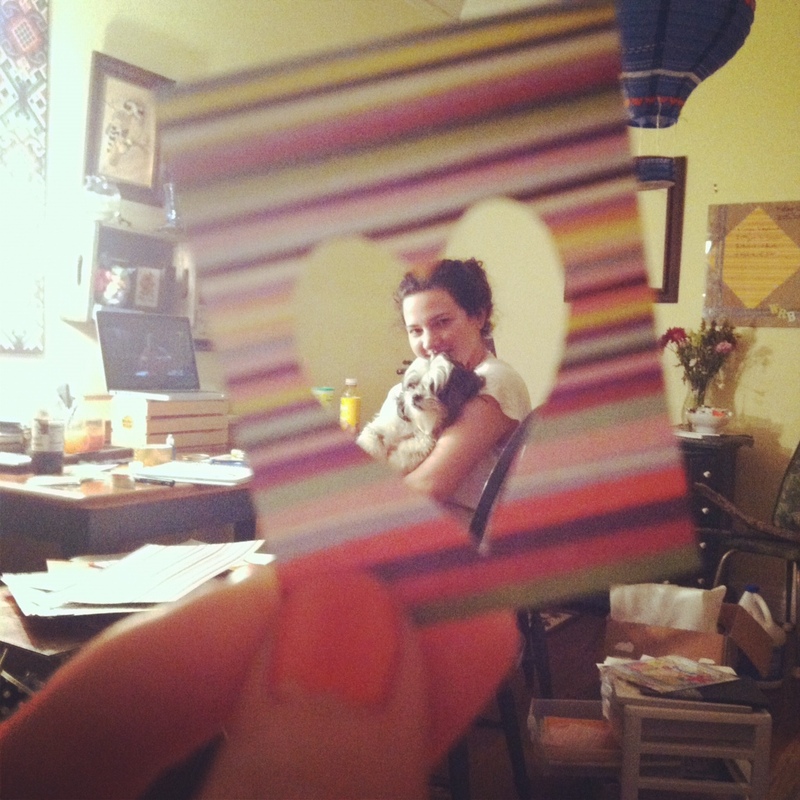 It’s a great way to express your love for them and also allows you to express your creative side, too! I purchased my scrapbook at the local craft store as a pre-built scrapbook created by K & C Company. The pages are all unique and bound into the book so that helped me save on time and money. 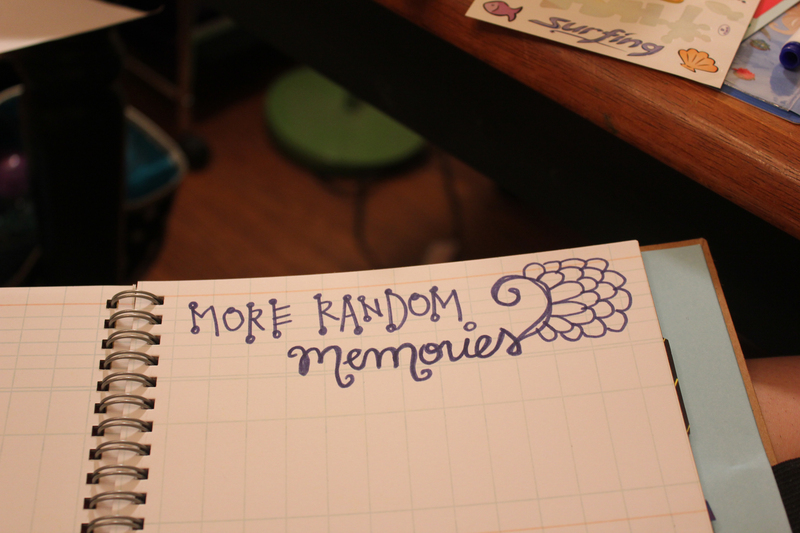 I gathered old photos and extras I could use for added detail on the pages to make each page truly one-of-a-kind. You can choose to add whatever you like to your pages such as old ticket stubs, magazine clippings, newspaper articles– the sky’s the limit! 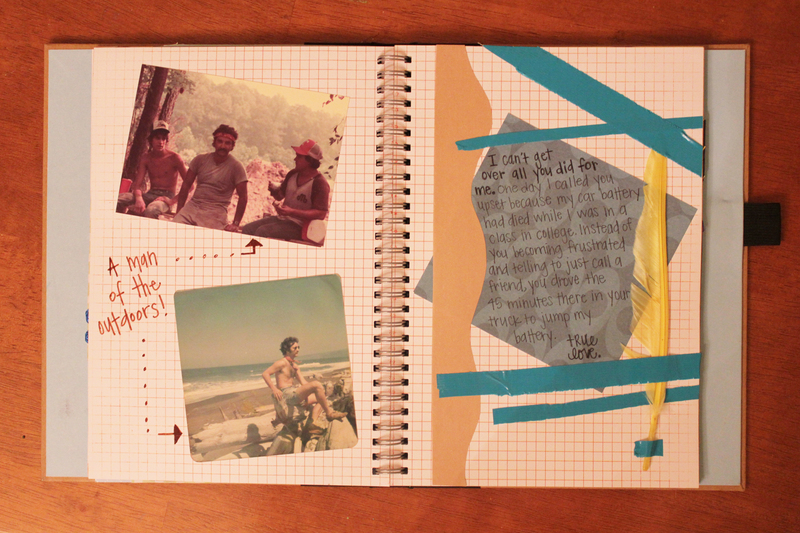 When I began this memory book, I focused on NOT forcing myself to be the “average” scrapbooker and to let myself be completely expressive. 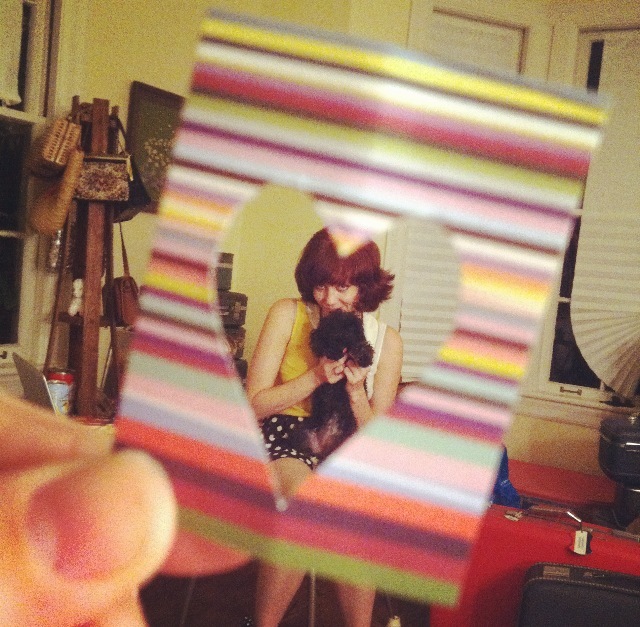 My pages are filled with scraps of paper and fun objects that helped bring each to life. Don’t be afraid to doodle on your pages if you’d like! Make each page as personal as you’d like, and it’s completely up to you to put in as much time and detail as you want. And don’t worry about making a mess, it happens! Allow yourself the space to get in your creative zone. I think it’s extremely important that you show what you feel inside in this memory book of yours! Below are a few excerpts from my scrapbook I made as a memory book of my father. He was a very special man who loved everyone so much! 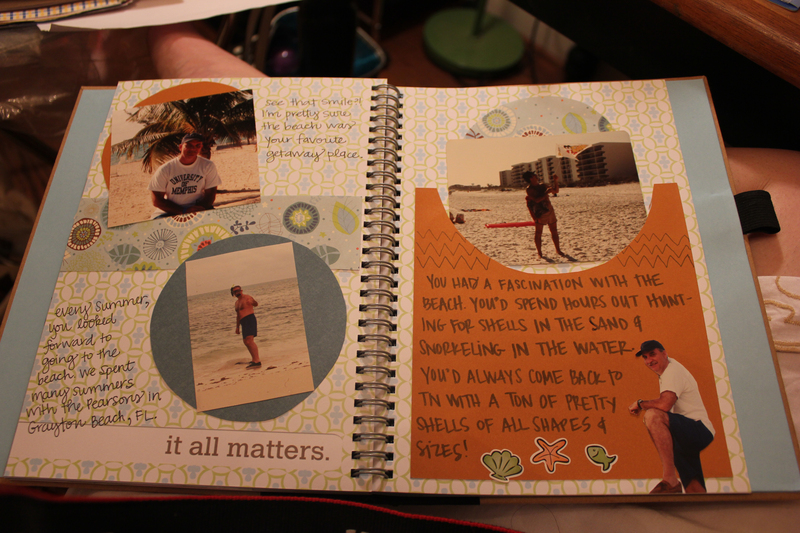 I had so much fun spending my nights putting together a book of memories of him. I hope you have a great time making your own book and gifting it to that special someone if you so choose. I recently saw a pair of amazing polka dot jeans at one of my favorite stores for quite a hefty price. 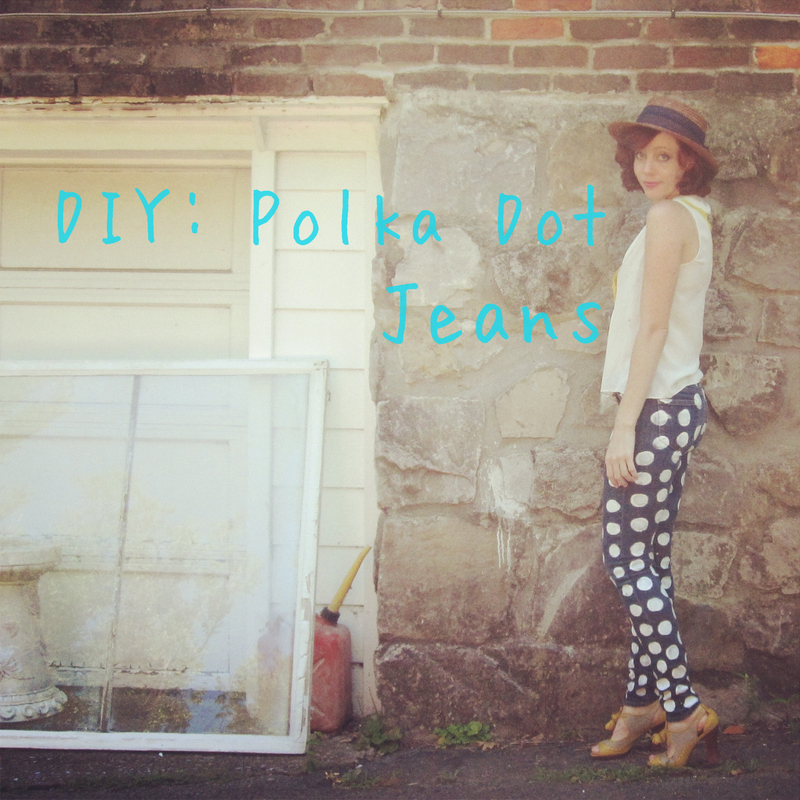 This inspired me to make my very own, budget friendly, polka dot jeans! It’s such a quick & easy project (I did mine while watching a Cary Grant film.) I don’t know how can you be nothing but happy wearing polka dots! 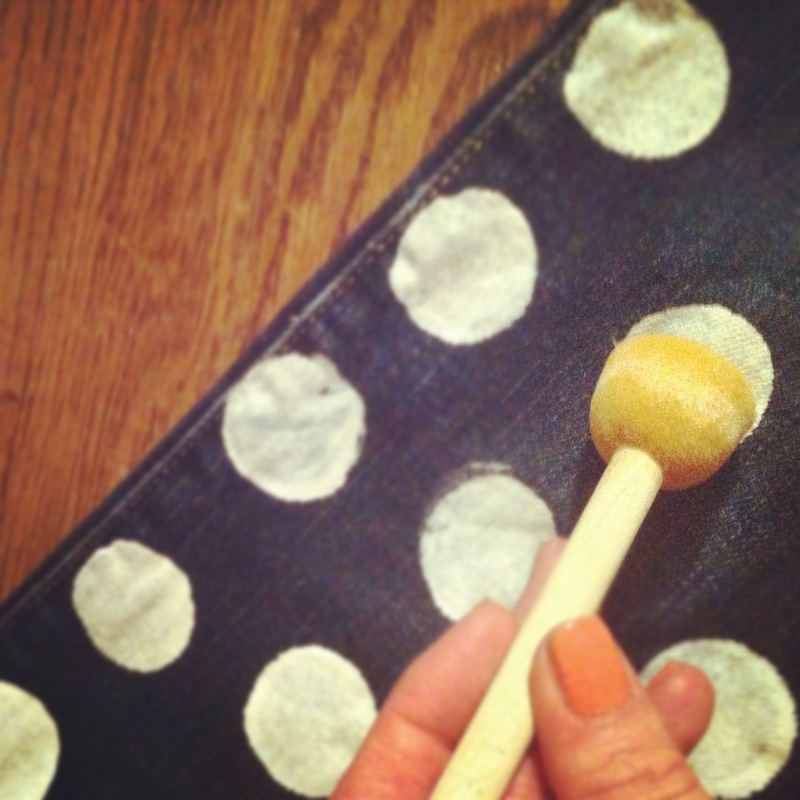 Lay the jeans on a flat surface & with a good coat of the fabric paint start putting your polka dots in the desired area. 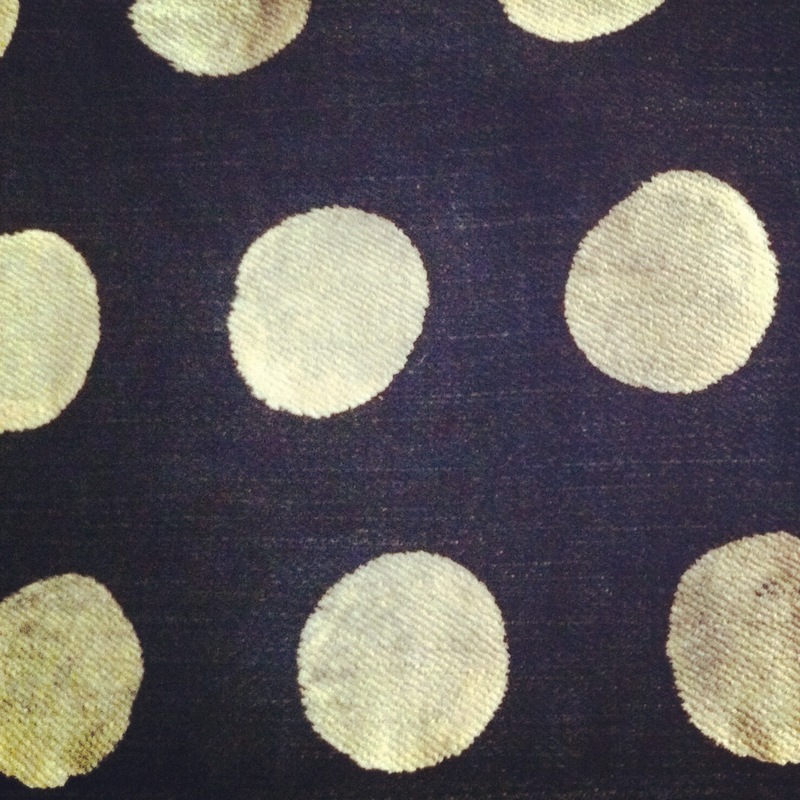 I choose to do my polka dots in diagonals of three. After you’ve finished the first side of the jeans, let dry anywhere from 45 minutes to 4 hours. Then continue with the other side of the jeans. Let the jeans dry overnight before wearing them & 72 hours before washing. And there you have it! Put a smile on your face…. 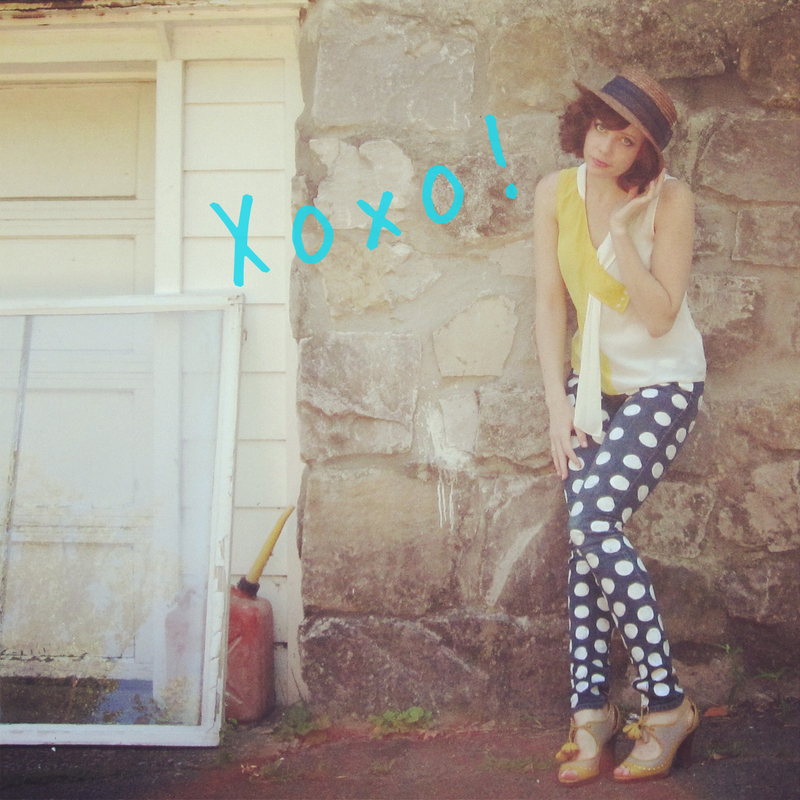 you have your very own polka dot jeans! I hope you all have been having the most delightful summer! What kind of projects have you been inspired to do lately? Here in Music City we are constantly surrounded by talent and wonderful shows, but last month seemed to be extraordinarily magical. 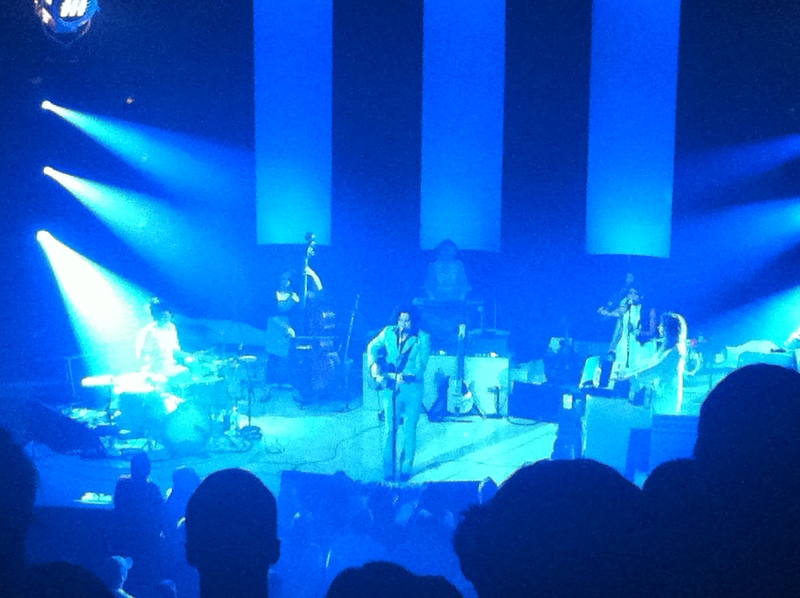 From the Imogene + Willie backyard show featuring Karen Elson to Jack White bringing his unique style to the historic Ryman, we have had permanent smiles on our faces! We wanted to share with you a few memories from the concerts over the past few weeks. Hope you enjoy! 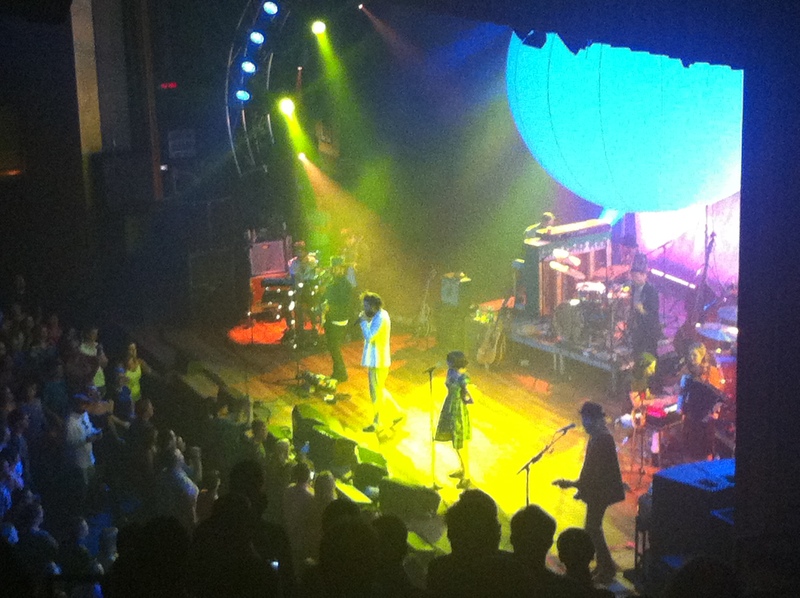 Have you been to any unforgettable shows lately? We’re currently spending our time in the studio with our pups working on some upcoming projects. We can’t wait to share them with you all! Keep your eyes peeled, stay inspired & have a very happy long weekend! What are you all up to this lovely weekend? With Summertime just around the corner, we can’t stop dreaming about hanging out with friends & enjoying an iced cold tea on the porch. We decided to add a little twist to the classic iced tea by adding infused flavors & could not be more happy with the outcome! 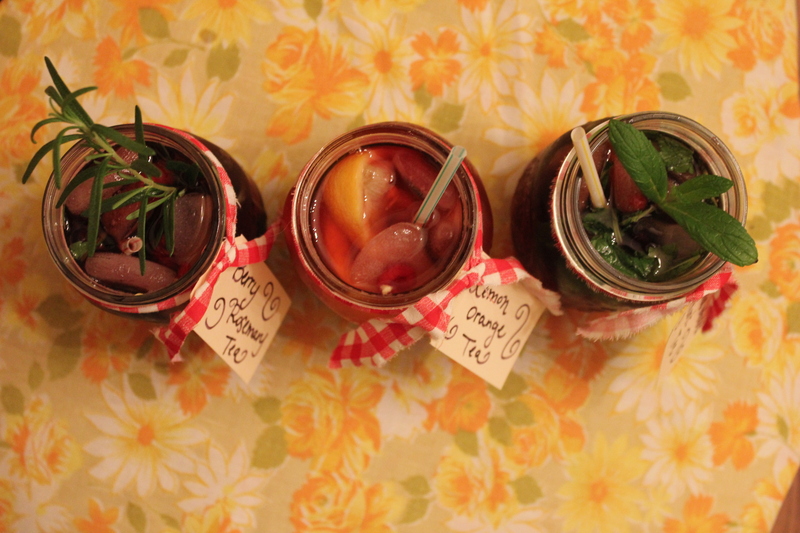 It was so much fun playing with flavors, and we can’t wait to enjoy these delicious beverages in the hot summer sun. The great thing is many of these ingredients came from our homemade garden! Check out our homemade garden here. 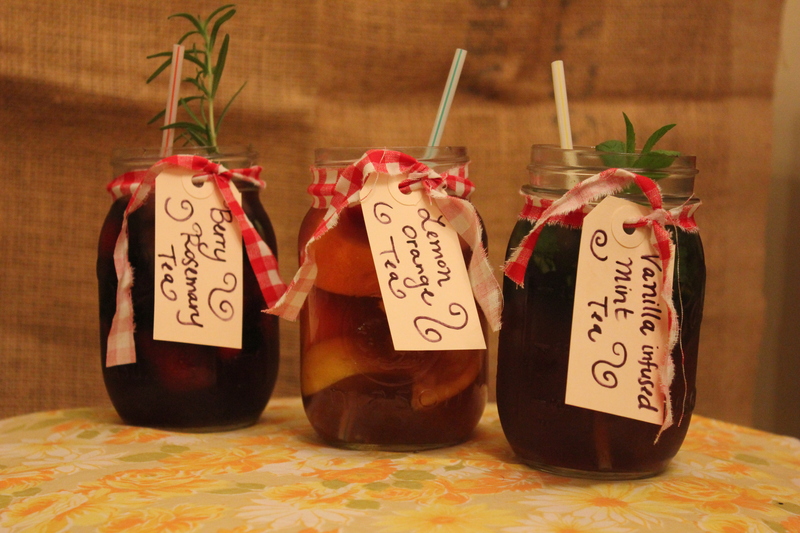 Here are the three yummy favors we came up with: Lemon Orange Tea, Berry Rosemary Tea, & Vanilla Infused Mint Tea (Our Favorite!). Lemon Orange Tea: Half an orange & half a lemon twisted. 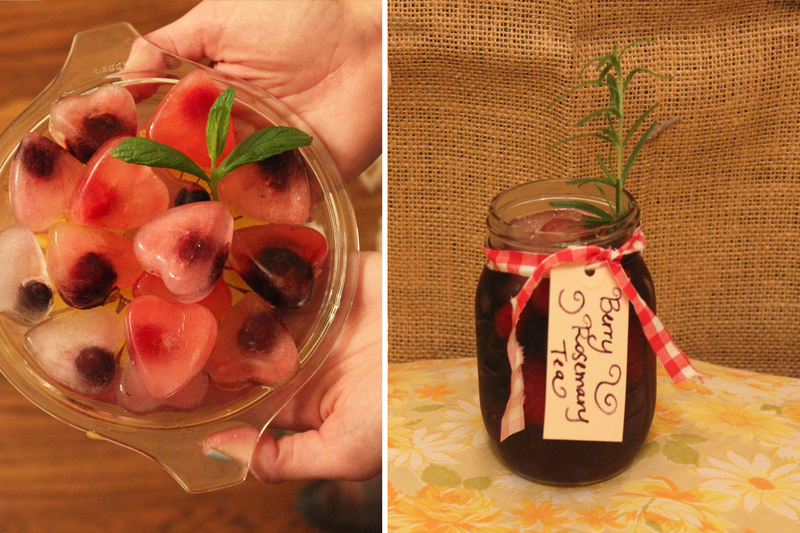 Berry Rosemary Tea: Frozen berry medley (ours had strawberries, raspberries, blackberries & blueberries), sprig of rosemary (crushed & as garnish) & we made heart shaped ice-cubes with berries in them as well! 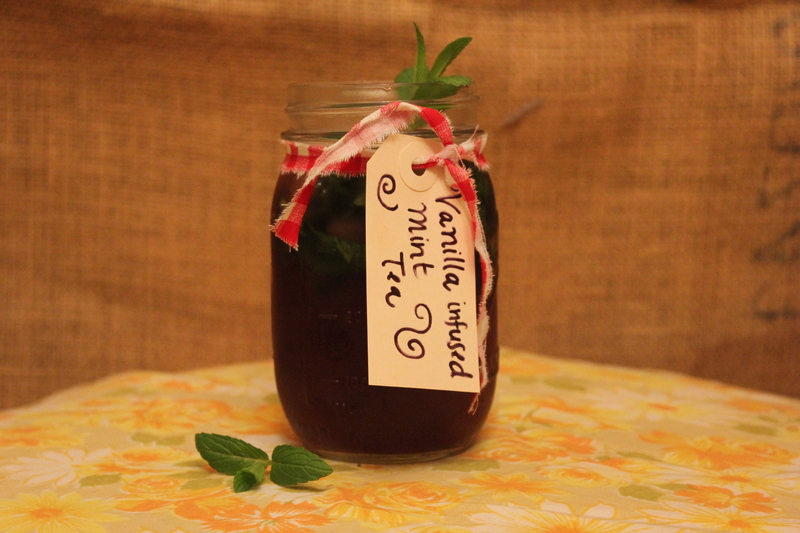 Vanilla Infused Mint Tea: Handfull of mint crushed & drops (or teaspoons!) of vanilla extract to taste. And Voila! Ordinary tea turned extraordinary! 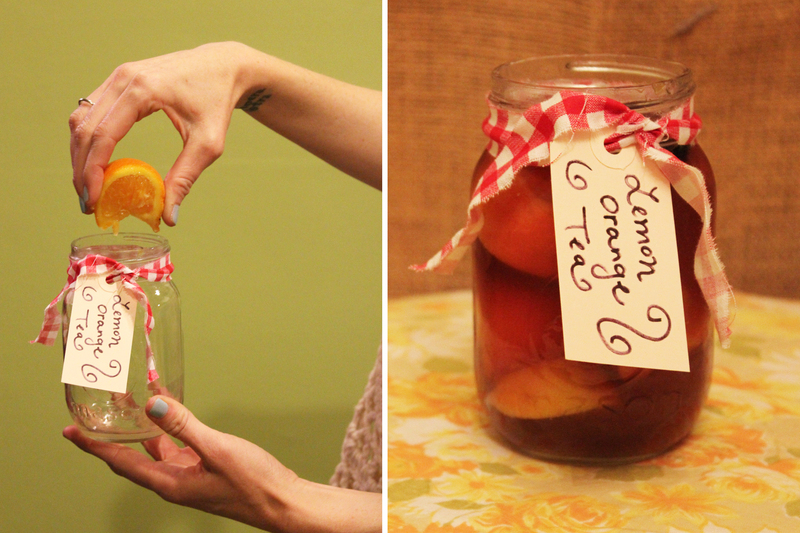 It’s amazing how a few simple ingredients can transform the traditional summertime tea. What’s your favorite summertime drink?